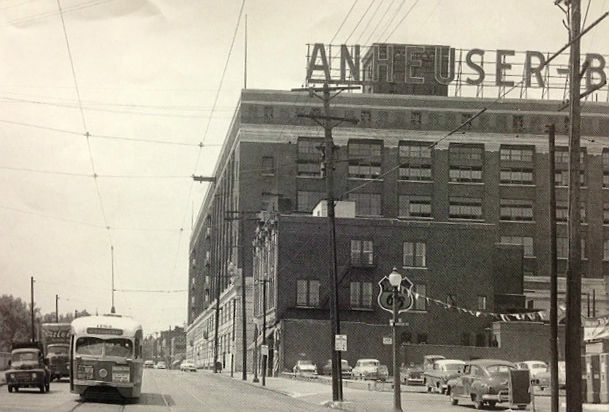 Today’s photo shows a streetcar passing the Anheuser-Busch brewery on South Broadway in 1956. Ride Metro to tomorrow’s Family Winter Carnival, an official Mardi Gras event, happening at Soulard Market Park from noon to 4 p.m. The free, non-alcoholic event will keep the kids busy with bounce houses, story time, fire trucks, and police vehicles.